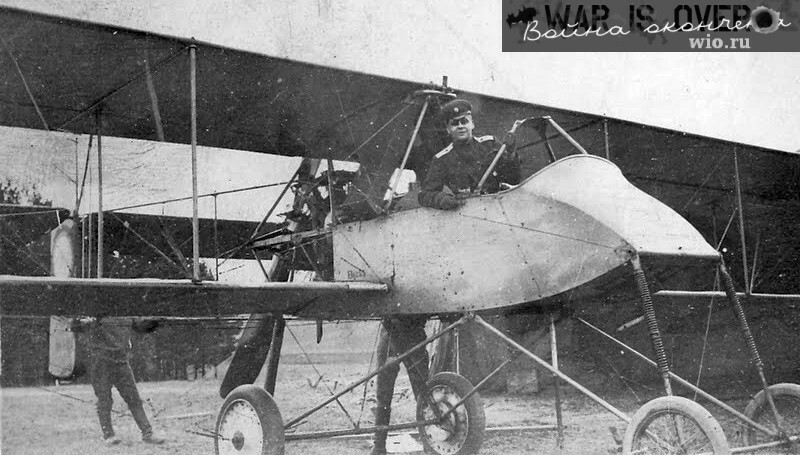 Voisin pusher two-seat biplanes were French (800 ordered by Russian Imperial Army) and Russian (produced over 500 under license). They were armed with a MG and bombs, and used in recon and bomber roles in World War I and Russian Civilian War. 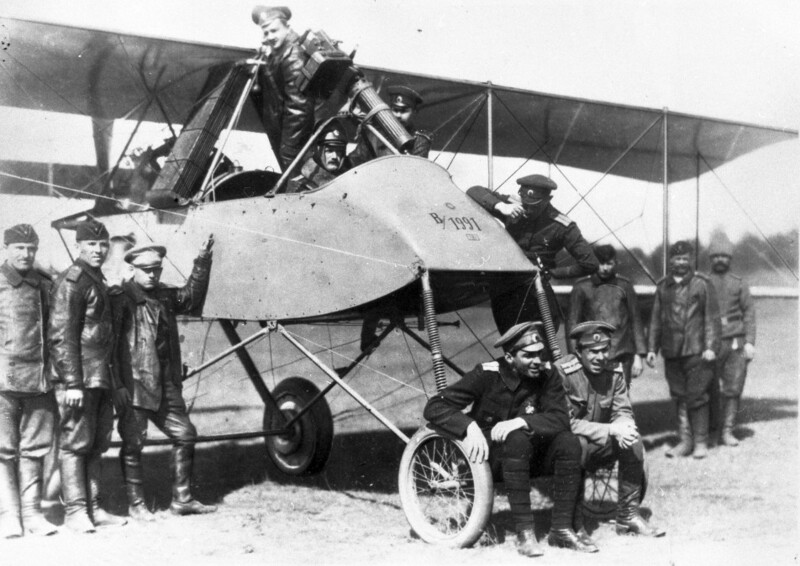 Voisin airplane of Russian 5th Army Squadron. Wartime picture. 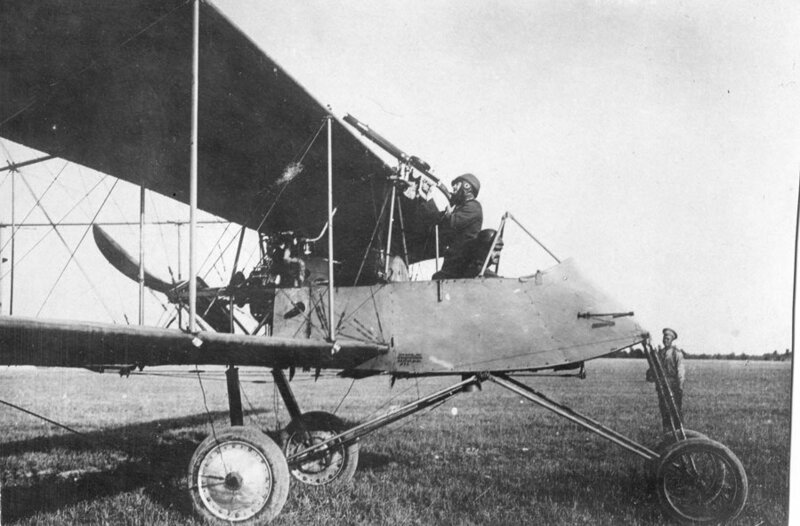 Voisin Flugzeug russischen 5 Armee Squad. 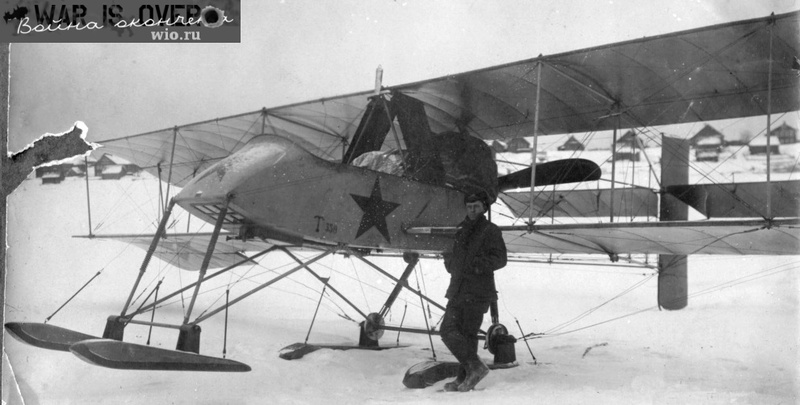 Voisin Russie des avions militaires. Rosyjski samolot wojskowy Voisin foto. The Voisins in service with White forces. Note the insignia: the triangle on the white circle.